Progressive rock fans, are you ready for Dream Theater?? As one of the leading acts of the genre, they’re on tour in 2019 with their all-new album, “Distance Over Time.” It’s been a long wait for their 14th studio effort, 3 years to be precise since their last album “The Astonishing,” but it’s going to be well worth it. Get ready to experience their sounds live in concert on Friday 22nd March 2019 – tickets available NOW and expected to disappear fast. Currently comprising of band members John Myung, John Petrucci, James LaBrie, Jordan Rudess, and Mike Mangini, Dream Theater have led the way in the world of progressive rock since they first emerged in 1985. What are you waiting for?? 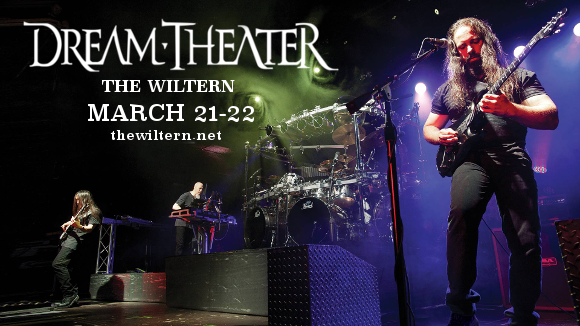 Hit the “Buy Tickets,” button NOW and get ready for Dream Theater LIVE! !